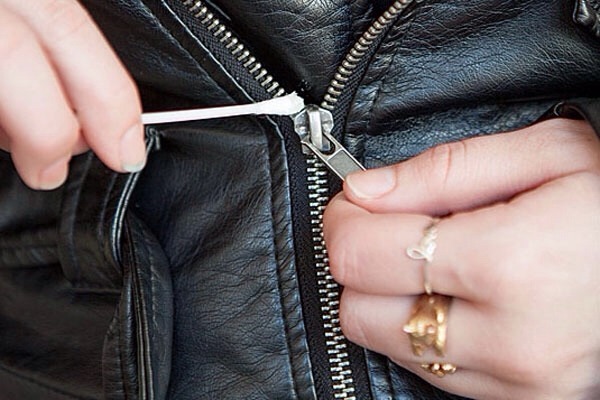 Fix a stuck zipper by rubbing shampoo on the area with a cotton swab. Dip one end of the cotton swab in a little bit of shampoo, and rub the end along the area of the zipper that is stuck. The shampoo will act as a lubricant and will help loosen the jammed zipper.